Start your truck driving business - choose a truck, pick a cargo and begin your transport job! 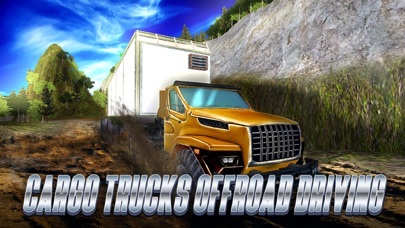 Earn money with truck driving and make a career in offroad delivery. Watch out for competitors - do the delivery first to be successful. 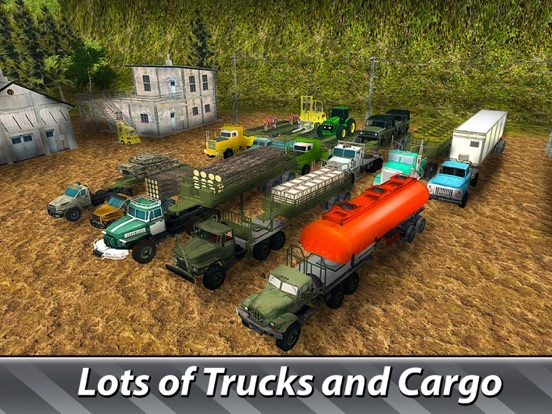 Become a one man transport company, earn money, upgrade truck, deliver the cargo in Cargo Trucks Offroad Driving! Cargo is needed everywhere, offroad is no exception. Transport cargo on your truck, put offroad driving skill to use - extreme transport career awaits in our offroad truck driving simulator. 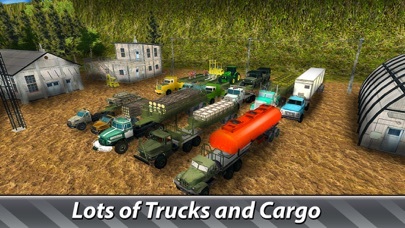 Explore offroad locations, deliver various cargo, upgrade your truck or buy new transport. 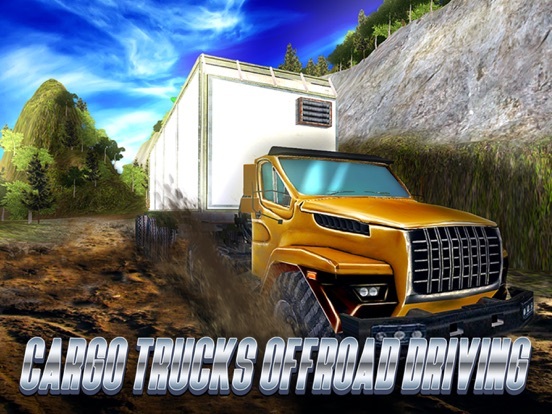 Become a professional in cargo truck driving with Cargo Trucks Offroad Driving! 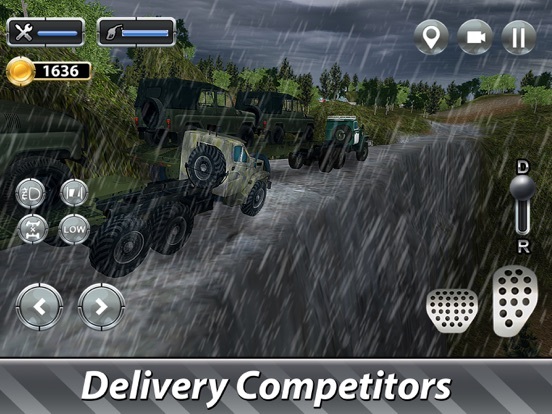 Your cargo truck can handle all offroad driving challenges. Can you? Transport missions require skills. 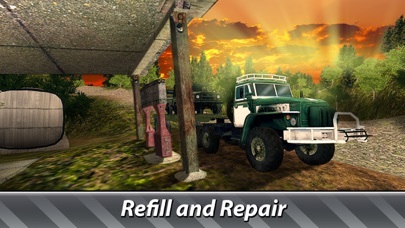 Refill fuel tank, fix the truck when needed, adapt to terrain and weather of the simulator - your delivery can end with a truck and cargo exploded, if driving is bad. Get gold for transport job to upgrade your cargo truck, if driving is good. Cargo delivery is tough not only because of offroad! Driving a cargo truck in vast offroad terrain is well payed. So get ready for competition - others can take the same transport order. 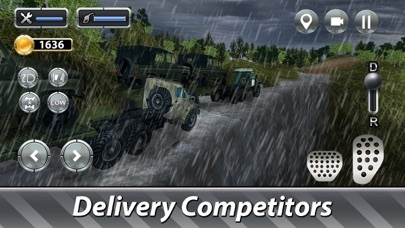 Show them your cargo truck driving, finish the delivery first. 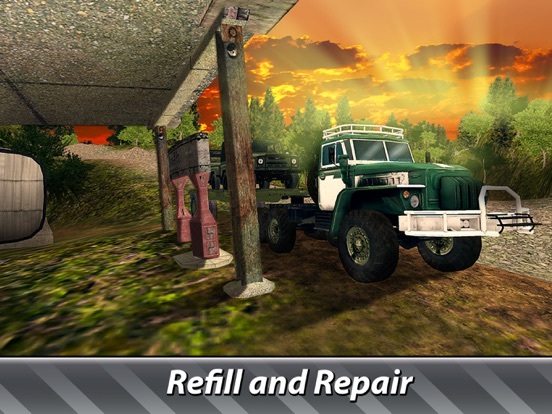 Truck upgrade helps to finish transport missions before opponents.